Love choccies? 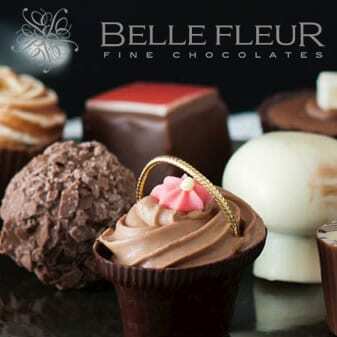 Then you will love our new eCommerce site for local Sydney chocolatier Belle Fleur. They hand make a range of amazing chocolates and have a special range just for Christmas. What’s more we built an innovative chocolate selector so now you can have a custom made box of chocolates with only the choccies you really want! Brilliant. This was a good fun project that involved working closely with the team on defining how the selector would work and making it easy to use and also to maintain. The selector fully integrates into the eCommerce engine to provide a smooth and easy checkout. There is also a full range of other products they create available within the store. The chocolate selector is a unique selling point for them that removes a barrier to people ordering boxes of chocolates that contain many they may not like. We feel identifying unique opportunities to stand out from the crowd is a must in today’s crowded market place. A challenging yet rewarding project that is already delivering great results for the business. Do you have a challenging project you would like to discuss? Then give us a call today for a no obligation chat on (02) 8097 7957.